Very filling indeed! Thanks Ronit! This looks amazing! Thank you for the delicious recipe. Aww, thanks so much Michelle! Yes, I have carrot in this too! Love the Italian sausage version, will have to try that next time. This soup sounds right up my alley and I want some now. Lol. 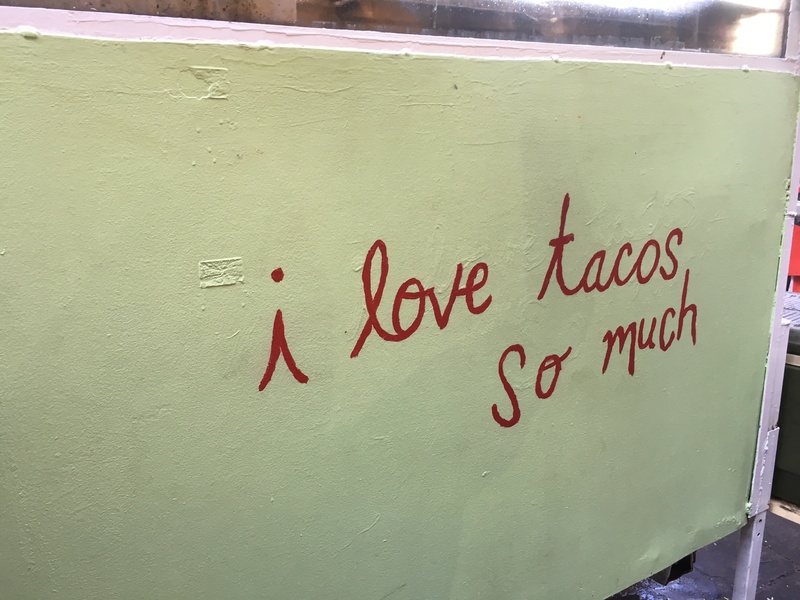 Happy opening of taco Cart season!!! Yes, I see you got some “Sprinter” up in Mars, too! 😀 Thanks so much Jodi! Ha ha, yes it’s a good term, thanks! Damn, girl! Making me hungry!! Another delicious recipe! I love gnocchi. Yum! This is such a novel combination of ingredients. Can’t wait to try it. The soup looks amazing. I love creamy soups full of goodies. Nice to see the taco cart ready to go! Thanks Diana! That’s actually a photo from the Pumpkin Patch at the same ranch last fall. Currently it’s tarped over, but plan on airing it out and giving it a good cleaning this week once the sun shines! Thanks Mad Dog, sure is! It’s “Sprinter” here too. 😦 I have always wanted to try my hand at homemade gnocchi, but haven’t mustered up the courage to take on the challenge. This looks amazing! You and me both, so hence the packaged version, ha! Thanks Debbie! Oh you are too kind!! Thank you! Yum Yum Yum!! Seriously this looks like pure comfort food!! I forgot to mention Sprinter! That is such a great word! 🙂 We’re having a bit of it right now. Sleet on top of all our snow from last night, lashing against the house. And the wind howling.Power flickering on and off. While we don’t have “Sprinter” here in Florida, a bowl of your soup would still be appreciated. Thanks Karen! I remember when I lived in Florida for a spell it didn’t stop me from eating soup! This sounds so yummy! Hope you are well and that your food cart starts off well this season! 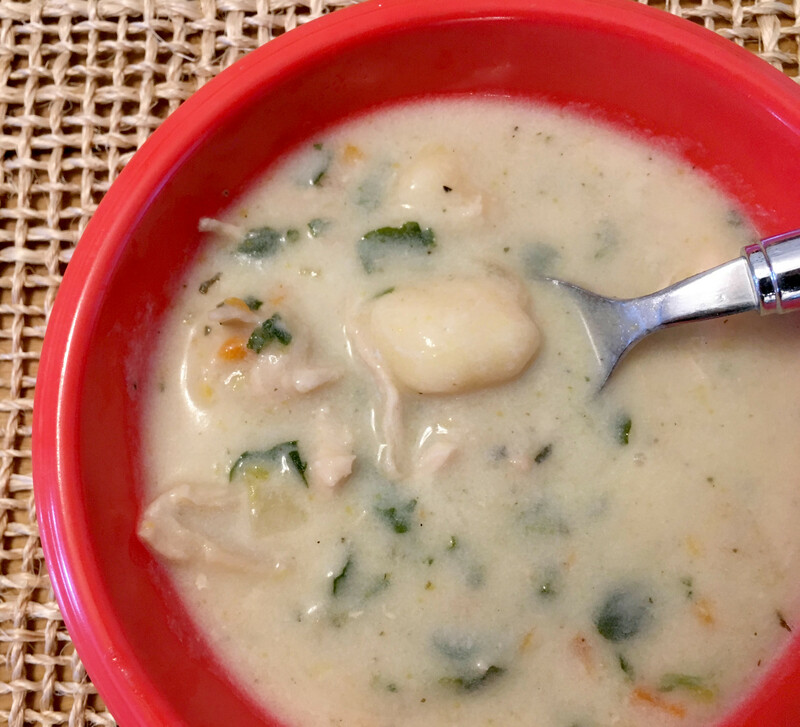 I would never have thought of adding gnocchi to soups…love this Kathryn! It certainly makes a soup a hearty main meal! Thanks so much Marisa. Loved the little note “the calendar says spring but the weather says winter!” Thanks for this beautiful share of recipe. And nice to hear you cart is going well. Thank you Kathryn. Yum! You will have me dreaming of this soup now! Thanks so much Antonia! Super delicious! Yum! This looks so comforting and delicious. Gnocchis are my fav. I will definitely be giving this recipe a try! I’ve been looking everywhere for a chicken and gnocchi soup recipe that isn’t complicated or where i don’t have to use about 3 or 4 different pots and pans to cook it lol. I’m going to try and make this next time we get paid. Thank you!! I just posted a chicken and rice recipe on my blog and I came to look for more soup recipes to try as well! This looks amazing!